Shakespeare was a master playwright who continues to entertain audiences centuries after his death. His mastery of the written word has been admired by people throughout the generations and around the world. While he may have never imagined anything like the Internet or modern marketing, there are still a number of lessons Shakespeare can teach us as we set out to master our own marketing techniques. Words are a major part of any marketing campaign. We all use words to reach our customers, to develop content that will interest them, and to explain why our products and services are superior. Shakespeare teaches us about the power words can have when they're carefully thought out and used appropriately. People still enjoy reading and watching his plays hundreds of years after they were first performed. That's because Shakespeare was a master at putting words together so they communicated the point to the audience and engaged them in the content. Shakespeare wrote for an audience that lived hundreds of years ago. Their life experiences were vastly different than our own. Yet, somehow Shakespeare's writing appeals to us as much as it appealed to the people of his day. That's because Shakespeare developed plots that people could relate to on the most intimate levels. His writings involved timeless themes, such as love and jealousy, which are still alive today. 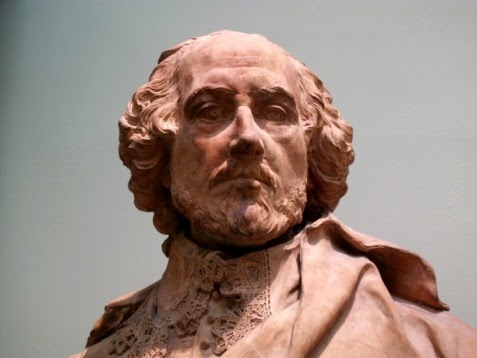 Shakespeare completely understood his audience and was able to use the difficulties people face to attract audiences, engage them, and convince them that he sympathized. By building this relationship with the audience, Shakespeare was able to build a loyal following to his brand. We, too, must answer these same challenge from our own audiences (customers) today. Consumers want to know that companies understand and address their struggles. This helps to build the critical relationship that leads to customer loyalty and improved brand awareness. No one develops their content in a vacuum. It's estimated that of Shakespeare's many plays, only a couple were actually completely original and developed by Shakespeare himself. This means he was frequently drawing inspiration and ideas from other sources of content. He would use these sources of inspiration to help get his own creative juices flowing. He would develop and embellish on the plots, characters, and themes until the works were completely his own, but still had parts that were drawn from other classics. As content creators and marketers, we must also be willing to draw upon the experience and expertise of others. The marketing world continues to change, and we must all stay on top of the new methods if we want to remain competitive. Looking at the successful work of others to draw inspiration can offer help with building our own content, too. As we read and see what others do in their marketing campaigns, we gain a better understanding of what we want to write and discuss with potential customers. Content development has become an increasingly important part of marketing. Listening and reading what others have to say can help any marketer start to develop their own voice, the same way Shakespeare found inspiration for his writing. When you set out to develop your marketing campaign, you'll likely spend a considerable amount of time reading modern marketing experts and trying to incorporate their wisdom into your own campaign. While these modern marketers will certainly impart a lot of wisdom, don't discount what the wordsmiths of the past, like Shakespeare, can teach you as well. If you're ready to jumpstart your marketing campaign, give us a call today.